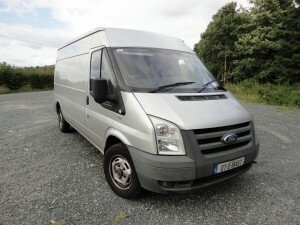 e-Van Transportation receives requests for man with a van jobs all over Ireland; primarily for jobs within the Greater Dublin Area, but also for long distance jobs within the island of Ireland, and for local services in every county in the Republic of Ireland. We currently refer jobs to several drivers in Dublin and various counties in Ireland. e-Van Transportation is offering two different opportunities. One is only open to owner drivers based in Dublin, Wicklow, Kildare, Meath, Louth and Laois. The other is only open to owner drivers living outside these counties. The recommended rate to charge is €20 to €25 per hour, plus mileage at 20c per km, plus tolls (where applicable). - Take responsibility for your own work and any issues, incidents or accidents.